Tidal is having a big day. 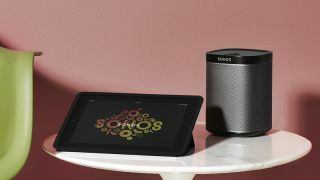 Later today, we're expecting to hear that Jay Z has officially bought the firm, but the lossless streaming service is also going to be available on Sonos. The addition of Tidal means that Sonos now has access to more than 60 streaming services, including those from Spotify, Amazon and Google. The firm recently added Deezer Elite too, giving us more choice about the quality of music we get. Sonos CEO, John MacFarlane, had nice things to say too "The game just changed – TIDAL represents the future of music". That said, we're sure he loves all of the streaming services on Sonos equally, just like any good parent does. Right? To get Tidal on your Sonos system you simply need to follow the usual process. Simply go to "add music services" and Tidal will be listed. There is no mention of a software update to make this happen, but that's quite common with Sonos. Stay with us, because we'll have the news direct from Jay Z's press conference later as he officially announces one of the worst kept secrets in technology.